Help, my friend is cutting. I have written many blogs on the subject of cutting. We’ve discussed what it is, why people do it, the consequences, and some possible solutions to the problem. But, today, I want to talk specifically to the friends of cutters. This can be a hard subject to talk about and it can be a very sensitive subject to the cutter so it is important to keep the following things in mind when trying to help. Someone recently wrote to me and asked: My friend is cutting. How can I get it into my best friend’s head that cutting is not good at all? She’s right cutting is not good at all, and I appreciate her desire to help her friend. However, there isn’t a simple answer to this question. We can’t just throw out facts and figures and think a cutter is going to be instantly convinced to stop. 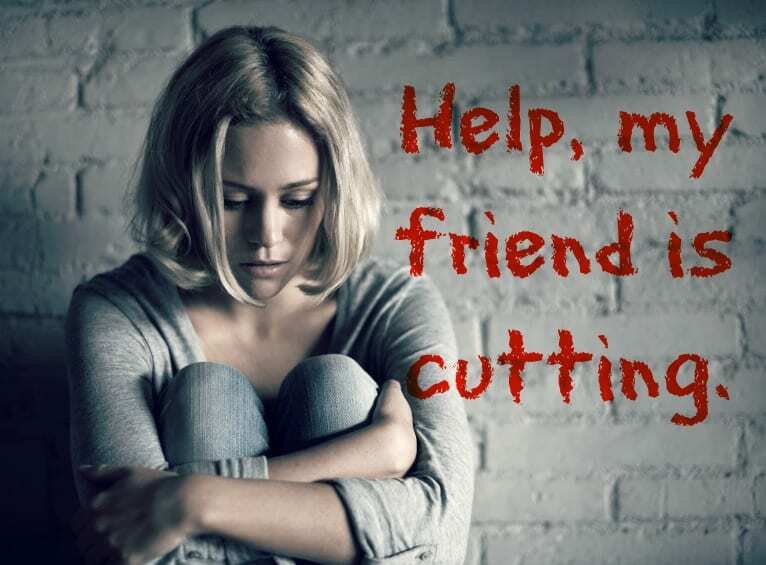 As I wrote about in Why People Cut, cutters are usually covering up a deeper emotional pain. Therefore, when talking to a friend about cutting here are some very important things to remember. Do NOT come across as judgmental. You may not be aware of the personal struggle they are facing which has led to self-harm. REALLY listen and seek to understand. Often someone who cuts feels like no one understands them. Do NOT be one more person that saysWhy would you do this to yourself? It doesn’t make any sense.Rather, ask some probing questions with a genuine desire to understand. Such as: Why do you think you cut yourself? Do you cut to cover up other pain? How do you feel after you cut? How do you feel the next day? Help them tell them tell their story…if they’re ready. You don’t need to have all the answers. Just listen! Encourage your friend that you BELIEVE in them. Tell them you know they will have the strength to stop when they decide to and that you will support them however you can. Offer to be their accountability partner, if they want. You can be the person they call to distract themselves from cutting when the temptation arises. Most importantly PRAY for them. God is bigger than cutting!! He can help them overcome the addiction. Pray that God gives them the strength and desire they need to stop cutting and find HOPE. Thanks for caring. You CAN make a difference in someone’s life. 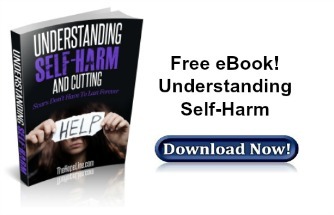 For more information on how to help a friend struggling with self-harm, check out TheHopeLine’s free eBook. My friend has been cutting himself with a knife and last year he tried to commit suicide. I want to help but I don’t know what to do. Somebody wants to help me. So pls help!!! Emily, Thank you for reaching out to help your friend. We have a partner organization that specializes in self/-harm. They have recovery coaches that will guide you on what to do to help your friend. Go to https://www.thehopeline.com/partners/door-of-hope-4-teens/ to find out how to reach them by text or email. We also have hopecoaches available that can help you with this. Go to http://www.TheHopeLine.com/gethelp to chat online with one.